This book was designed for folks who want to organize a successful and enjoyable cocktail party at home. Part 1 of the book focuses on preparations for the cocktail party, and has a special emphasis on how to prepare splendid cocktails easily and in a professional manner. Part 2 of the book, where Ive prepared dozens of unique and delightful cocktail recipes. 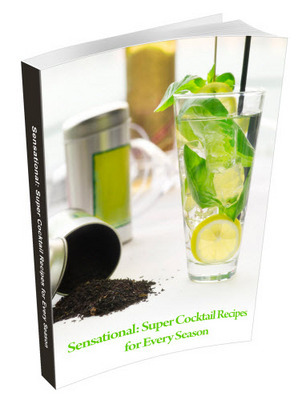 In this section of the book, youll find cocktail recipes for tequila shots, martinis, Bloody Mary concoctions, and more. Just imagine being able to entertain your friends with delicious cocktails in just 7 days (or less) without becoming frustrated or wasting your time. Yes you could have the best tasting cocktails. It truly is possible, but you just need to know how. P.S Also remember, that you are making this purchase at absolutely no risk. So grab this special price while you can! If Sensational: Super Cocktail Recipes for Every Season isnt everything you were expecting, simply notify me within 56 days and I will refund your money immediately.